Scientists are calling the storm "one of the most intense ever observed." NASA's Opportunity rover on Mars did not return a call from Earth yesterday (June 12) while enduring a massive dust storm that scientists have called "one of the most intense ever observed." "The Martian dust storm that has blotted out the sun above Opportunity has continued to intensify," NASA officials wrote in a mission update Tuesday. "The storm, which was first detected on May 30, now blankets 14 million square miles (35 million square kilometers) of Martian surface — a quarter of the planet." That means Opportunity's solar panels aren't getting enough sunlight to phone home from its Perseverance Valley location on Mars. "If the rover's computer determines that its batteries don't have enough charge, it will again put itself back to sleep," NASA officials said. "Due to an extreme amount of dust over Perseverance Valley, mission engineers believe it is unlikely the rover has enough sunlight to charge back up for at least the next several days." The dust storm was first spotted on May 30 by NASA's Mars Reconnaissance Orbiter, and it has been growing ever since. NASA has continued to track the storm from orbit and the surface. In addition to Opportunity, the Mars rover Curiosity is monitoring dust levels from the storm. Scientists think the power level in Opportunity's batteries is below 24 volts. If the rover loses power for an extended amount of time, there is a chance it won't be able to power the heaters needed to keep its electronics alive. The extreme cold of Mars is thought to be what killed Opportunity's twin, the Spirit rover, after it got stuck in Martian sand in 2010. Opportunity has seen its share of dust storms on Mars. In 2007, a planetwide dust storm blotted out the sun for two weeks. Opportunity went silent during that storm, too, but survived. 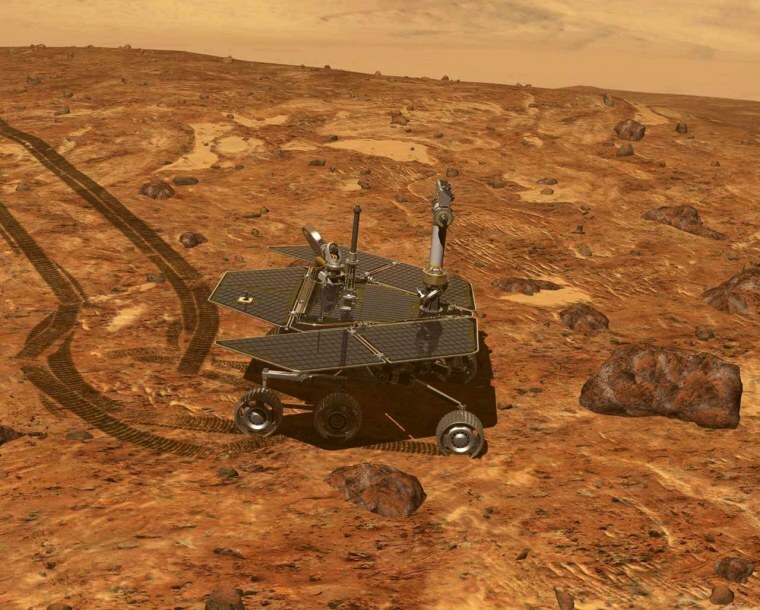 The nearly 15-year-old rover launched in 2003 and has been exploring Mars since it landed in January 2004. Opportunity has lasted more than 50 times longer than its original 90-day mission plan, NASA officials have said. NASA will hold a teleconference today at 1:30 p.m. EDT (1730 GMT) to discuss the Martian dust storm, its impact on Opportunity and how scientists are tracking it with spacecraft in orbit. You can watch that news briefing live here on Space.com, courtesy of NASA TV.